The Etihad was just three-quarters full for City's Champions League opener against Lyon where they suffered a 2-1 defeat. "I'm too [busy] concentrating on my game than worrying about the fans, but obviously you do want an atmosphere," Walker said. "When you go to certain grounds, it's difficult to play there sometimes when you've got the atmosphere and the fans are on their side, so we do probably like that a little bit. "We've come to terms with that and we have to just let our football do the talking. We've got some fantastic players in there and our fans probably shouldn't influence us on how we're going to play throughout the 90 minutes." Kyle Walker believes the fans' support is good for the team. 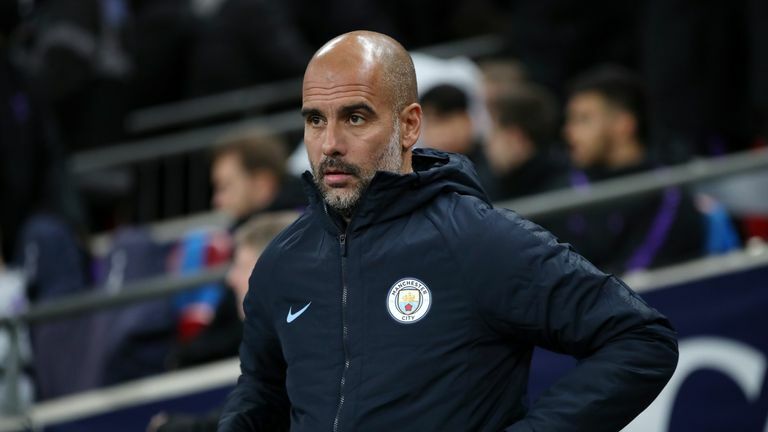 City have won two of their past three meetings with the Ukrainian side including the reverse fixture in October where Pep Guardiola's side won 3-0. "Obviously the Manchester City fans have their opinion on the Champions League which is what it is, but for us it's down to us as players to create the atmosphere in there and help the fans as well - they're the 12th man," Walker said. "We have an important job on the field to get the victory. We need to make history for this club and that's what we're wanting to do." If Guardiola's side beat Shakhtar on Wednesday and Hoffenheim lose to Lyon, City will qualify for the Champions League knockout stages.